We have opened registration for the spring season of our competitive travel program. Please select registration link below. Competitive Travel Soccer Program 2018/2019: The program will begin on March 30th. 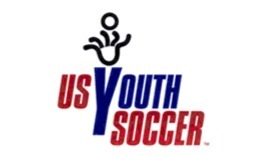 The program will be open to u8 to u19 ( 2012-2000 birth year) players and practices will be once a week. Players are asked to register for the program by January 30th . Rosters will be closed after this date and players interested in registering will be wait listed (Note that this will be applicable to all players). Spring Travel Commitment: When a player commits to a Spring Travel Team, they are committing to playing with their assigned team for the duration of the spring playing season. The spring playing season consists of eight league games and weekly practices. The season will begin on March 30/31 and continue through early June with a per player cost of $125.00 due at registration. New Players to Travel Team Soccer: Players who are new to Travel Team soccer will be registering to play in the spring program. This is a competitive program that will provide players opportunities to play through-out the state against the appropriate levels of competition. Players will be required to provide birth certificates and a photo that will be used to create your player id cards. When filling team rosters, preference will be given those players who participated in the Fall 2018 season. New players will be considered for any additional open roster spots based upon summer 2018 assessments and/or coaches assessments.